Much is made these days about reforming Catholic education, specifically of improving academic achievement and Catholic identity in our Catholic schools. Both are in need of improvement. I would argue, however, that we cannot make significant improvement in either of these directly, that is, without addressing more fundamental issues first. I believe that both academic achievement and Catholic identity can only be significantly improved by addressing foundations which undergird them – foundations which our schools have forgotten or abandoned. As everyone is aware, our Catholic schools have suffered demonstrably with the dwindling number of sisters, brothers, and priests to staff them. Everyone will point to the overwhelming financial difficulties that this loss has occasioned – difficulties in need of innovative solutions. Some will also rightly point to the loss of Catholic identity that has grown in their absence. However, very few seem to have realized that we have also lost an entire philosophy of Catholic education, the very foundations of Catholic education. In previous posts, I have called for reform of Catholic education, specifically, for recovery and renewal in Catholic schools. Recovery points us back, connecting us to our heritage in Catholic schools: to their strength and success in earlier generations. Renewal points us forward, taking that heritage and those strengths, making them pillars of renewal, incorporating true advances of modern education, and listening to the Spirit of the New Evangelization for guidance. This post is about recovery. I will argue that the two pillars of reform are: the recovery of an evangelical call to holiness and the recovery of an authentically Catholic philosophy of education. The latter pillar encompasses the former (in theory, though not in practice). The foundational principle of an authentic Catholic educational philosophy is that purpose for which Catholic education exists. This purpose is the salvation of the souls of those children in the school’s care, or put alternatively, the evangelical call to holiness of those children. This is the core principle of every vocation to Catholic education, the purpose and mission of every Catholic educator is to extend to those children in our care, with fidelity, integrity, and zeal, the call to a life of holiness. Yet, we have a dearth of educators witnessing to an authentically Christian life with fidelity, integrity, and zeal. We have far too many educators who simply have a job, or career, as a teacher or administrator at a Catholic school. Too many do not view themselves as evangelists to the young. The sisters, brothers, and priests did. One need only examine the recent brouhaha with the Catholic educators in the flock of Bishop Vasa. Bishop Vasa, in an effort to ensure authentic Catholic education in his diocesan schools, asked all teachers to sign an oath of fidelity to the Church. There was such an outcry that Vasa was forced to relent. If these teachers were faithful witnesses to the gospel as taught by the Catholic Church they would have signed joyfully. We must reverse this by hiring educators who will enthusiastically and joyfully witness to the Gospel in word and in deed. Pastors, especially, must have care to consider an administrator’s faith life, fidelity to truth, and zeal for evangelization, as more important than certificates and licenses bestowed by the state or about degrees granted by colleges, whether they be state schools or private. Notice, in Archbishop Miller’s address, that he asserts the need for enthusiastic witnesses as the primary way to foster Catholic identity. Bishops, pastors, and other influential Catholic educators have for years now preached the need to restore Catholic identity and culture in our Catholic schools. Modest, and I would argue, superficial improvements have been made in this regard. However, Catholic identity is not something that can be restored by inserting a few Catholic identity programs. Special programs are not precluded, but Catholic identity is formed first, and foremost, by the faithful witness of the school’s teachers and administrators and, then, by a school culture which springs up naturally and spontaneously in schools which have an authentic Catholic philosophy of education inspiring them. 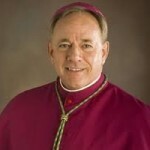 Note, also, Archbishop Miller’s call for educators who have a “clear and precise understanding of the specific nature and role of education.” Archbishop Miller sees the need for a firm understanding of Catholic educational principles, of a Catholic educational philosophy – the second pillar of reform. 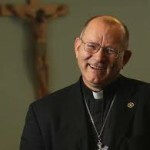 One could make the case, even despite the loss of religious presence in our schools, that had the laity who filled the void been well-formed in the Catholic educational philosophy of the Church’s tradition, we may have come through these years with vibrant, flourishing, and authentic Catholic schools. 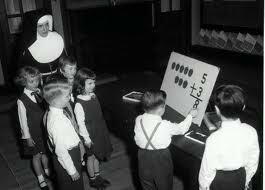 In their religious orders the sisters and brothers were trained to be teachers and passed on, from one to another, a specifically and authentically Catholic educational philosophy. As their numbers dwindled, they were replaced by teachers and administrators who did not receive the specific training that they did. Instead, new teachers and administrators were trained at secular universities (or even Catholic ones, now patterned after the secular) where progressive educational ideas flourished. The vast majority of Catholic school teachers today have not learned, and have little exposure to, the history of Catholic schools, the philosophy of education particular to Catholic schools, which educational theories, ideas, and fads are contrary to Catholic principles, what the saints have to say about education, how to incorporate a Catholic world-view into “secular” subjects, how to properly form hearts and minds in Christ, and a whole host of topics that require examination through the lens of Faith and the teaching of the Church. How many Catholic educators can clearly articulate a Catholic philosophy of education – beyond the vague (albeit true) “educating the whole child?” Moreover, how many, not knowing a Catholic philosophy of education, promote ideas which are contrary to a Catholic understanding of the proper formation of the whole person? The Church’s heritage and tradition on education has been neglected, forgotten, and in need of recovery. The content of this recovery is vast and will be the topic of many posts to come. Decades ago large volumes were produced to explain a Catholic philosophy of education. Virtually none exist today, when we are most distant from our educational roots and most in need of true guidance amid the progressive educational theories and fads in circulation. I hope you will be a partner in recovering an authentically Catholic philosophy of education. This entry was posted in Uncategorized and tagged Archbishop Miller, bishop vasa, call to holiness, Catholic Educational Philosophy, Catholic philosophy of education, hiring, recovery, reform, renewal. Bookmark the permalink.